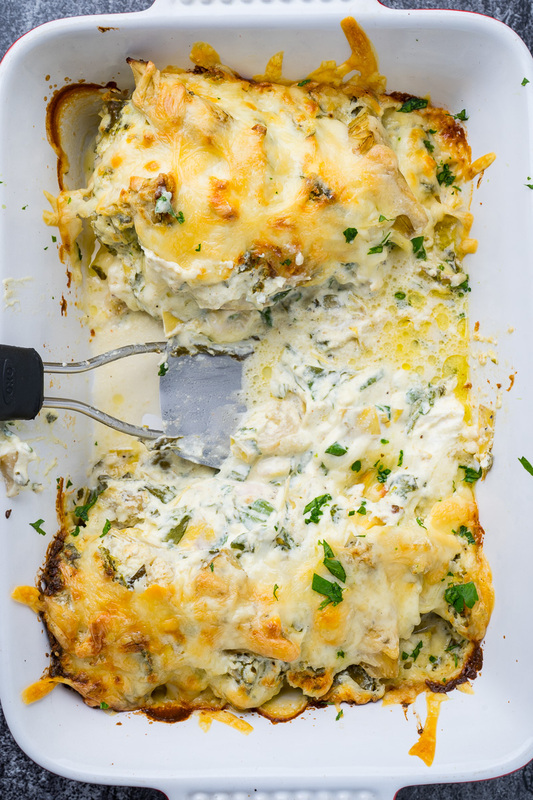 Quick and easy chicken baked in a tasty spinach and artichoke dip! 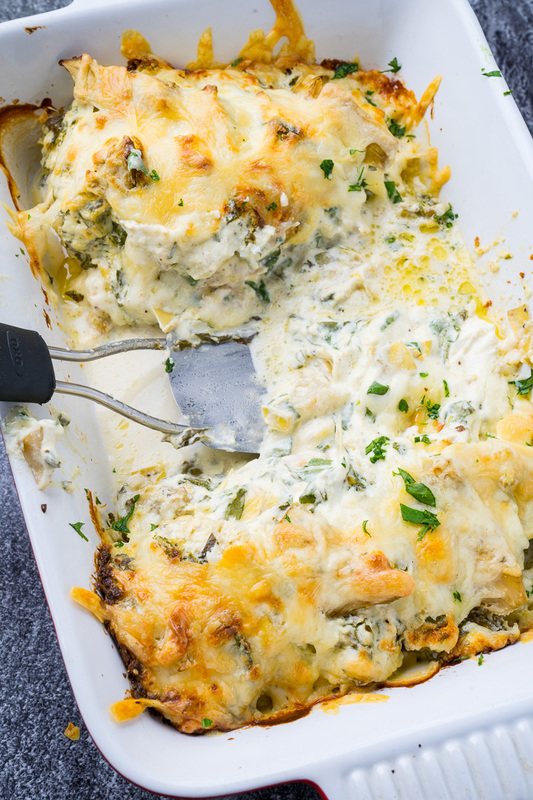 Spinach and artichoke dip is one of my favourite snacks and I hardly need an excuse to keep trying to enjoy it for dinner and this spinach and artichoke baked chicken is the perfect to do so! 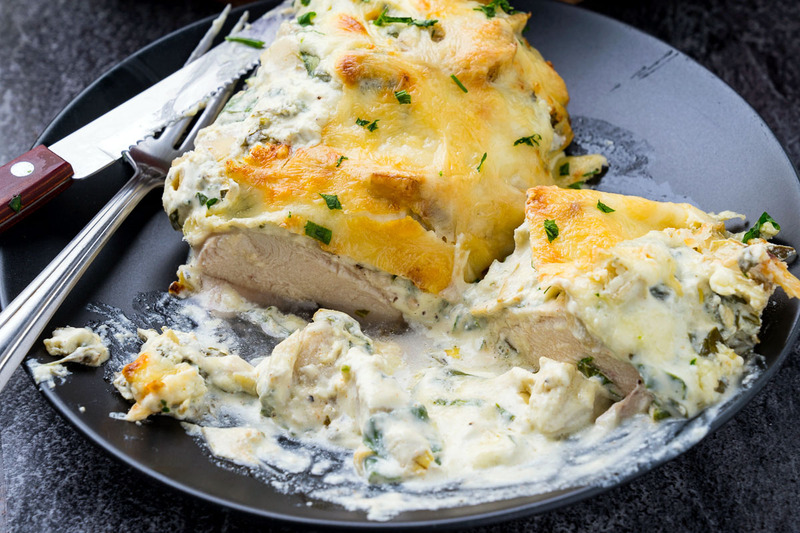 This recipe is quite literally chicken breasts topped with spinach and artichoke dip that is baked in the oven until the chicken is cooked and all of the cheese in the dip has melted! Yum! Not only is it super easy to make, but it’s also low-carb, gluten-free and therefore healthy… oh who am I kidding, I’m not going to use that as a reason to make this, I’m going to make it because I want to! 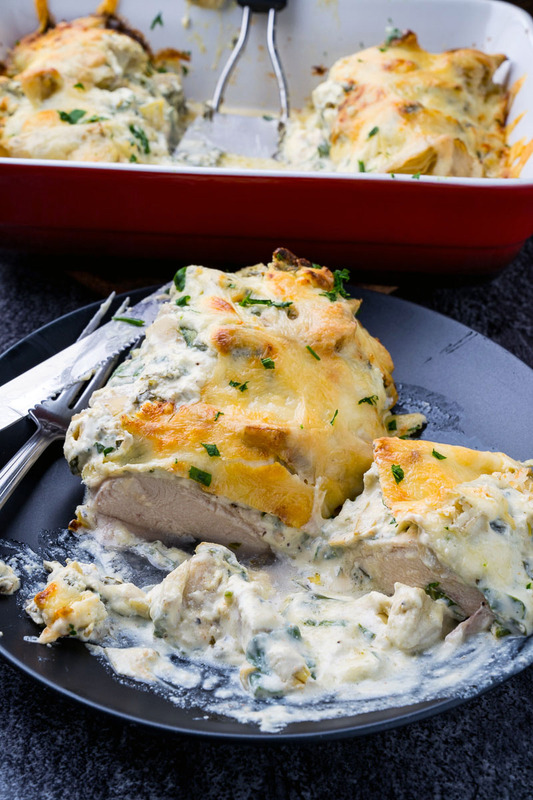 Place the chicken breasts into a baking dish and top with the mixture of the remaining ingredients and bake in a preheated 350F/180C oven until the chicken is cooked, about 30–35 minutes. Love every recipe of yours that I have tried! This looks like another winner! Can I use canned artichokes or should it be fresh? Canned or jarred artichokes work well! Thanks Kevin. I have a jar in my pantry that I was hoping to use. Will be making tonight, can’t wait! Just as I expected, another excellent recipe from you! Only thing I did different was to throw in some shiitake mushrooms that needed to be used. My compliments! 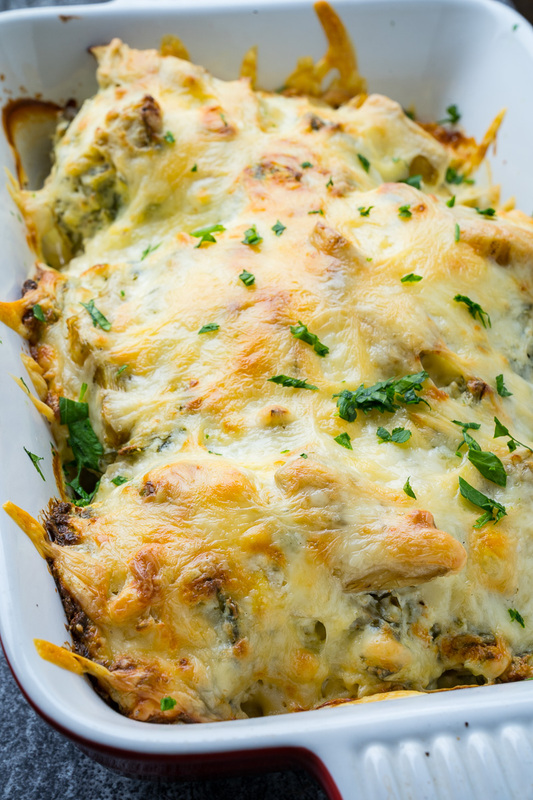 The kids may actually eat this and I love that you sneak in the spinach and artichoke. I may have to try that tactic on other cheesy dishes. Can’t believe how easy and quick this was to make, and how very delish! !